We appreciate your feedback about your support experience with WooCommerce, developers of Datacash Payment Gateway. This helps us maintain high standards on the WooMarketplace, and helps WooCommerce improve. 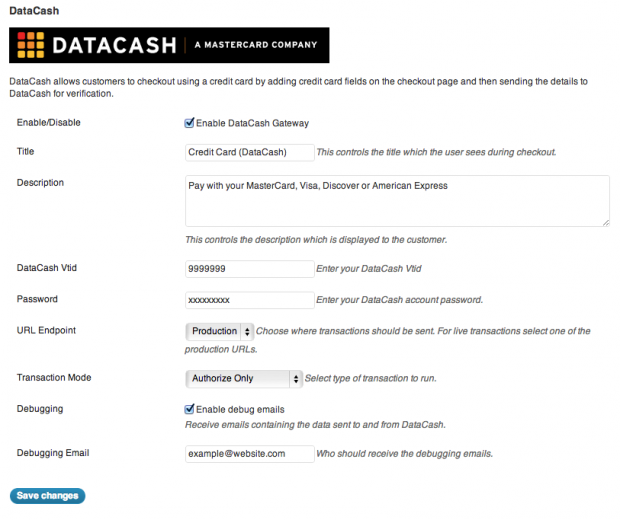 The DataCash for WooCommerce extension allows you to accept credit card payments on your website. With the DataCash credit card gateway your customers are prompted for their credit card details on the WooCommerce checkout page, and DataCash handles the authorization and settlement. Note: This extension requires an SSL Certificate to be installed on your site to ensure your customer’s credit card details are safe.